I have just installed Windows 7 Enterprise (64-bit). 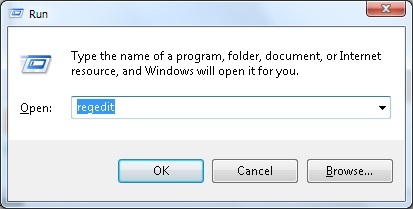 After installing Notepad++ 5.5.1, the context menu entry "Notepad++" didn't show as usual. I'm sure that I checked the checkbox "Context Meny Entry" in the installing process. My solution is to add the context menu entry for Notepad++ manually. 1. Press "Windows + R", then type regedit in the opened window. Click Yes if the "User Account Control" window is opened. 3. Right click on the shell node, and choose New -> Key. Enter Notepad++. 4. Right click on the new created Notepad++ node, and choose New -> Key. Enter command. 5. Click on the new created node command. 6. Double click on the (Default) at the right panel, and enter C:\Program Files (x86)\Notepad++\notepad++.exe %1. Note: You may need to hange "C:\Program Files (x86)\Notepad++\notepad++.exe" to the appropriate location of Notepad++ on your computer.